Intacct is an intuitive, slick and well-structure enterprise-class accounting platform which operates on top on Oracle database. Even with its unconventional approach to few accounting aspects, it has great feature set, operation and performance are stellar. It has an intuitive interface which is a major feature of any best accounting software. Navigating in Intacct is performed primarily by two means. First, there are multiple layers of drop-down menus which are way too easy to follow, and it quickly takes you to the task you desire. Second, at the bottom of these menus is a button which on clicking takes you to a process flowchart with similar tasks displayed in the order of performance by the user. In the case of restating the books, Intacct excels over other apps. Apps in the small to a midsize enterprise can do this, but Intacct does in the easiest way. TAX and GAAP formats for reports are available by default. Various reporting entities generally require the books restated in a particular fashion. When it comes to pricing of this service, it is among the most user-friendly as it begins at $2,510 per year or $210 per month per user after the first user. It has simplistic ribbon bar navigation. Its process flowcharts are customizable. It has a simple chart of a structure of accounts and their extensibility. It provides multiple sets of GAAP, TAX books and reporting. It has very easy setup process along with simple report creation process. The Charts of Accounts has unconventional and unusual structure. 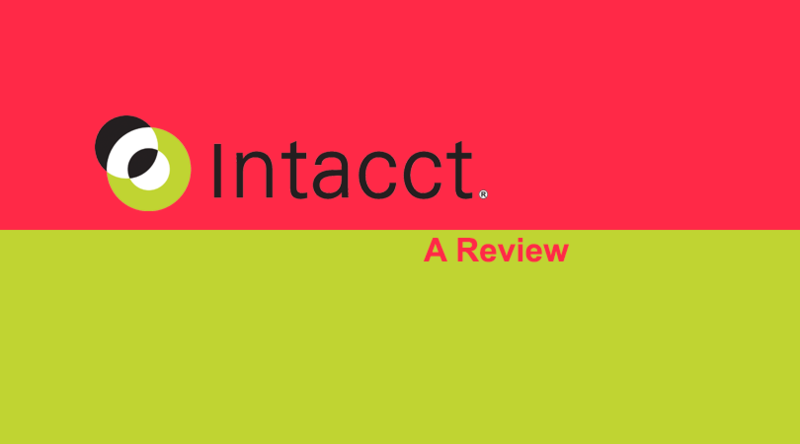 Intacct is highly user-friendly and is definitely worth a try. One thing that may go against it is its price. Its seamless and fluent navigation along with its easy-to-setup process, customizable process flow charts makes it the best choice for all users especially for the novice users. So, go ahead and try this application and don’t forget to share your experience with us. Also, mention your reviews and suggestions in the comment section provided below.